Much has happened since then. Released from house arrest after 15 years in 2008, it’s worth examining the test she laid out all those years ago and asking: Has Aung San Suu Kyi stopped trying? Since being awarded the Nobel Peace prize in 1991, her ongoing campaign against the Burmese military junta has rightfully become well known. But she first became involved in politics almost by accident when she returned to Myanmar (then known as Burma) from her home in England to care for her ailing mother. She found herself in Yangon (or Rangoon, as it was then known) during the 1988 pro-democracy uprising. She watched as the army killed students protesting in the streets. From that moment, so the narrative goes, she felt compelled to enlist in the struggle for a better Myanmar. Until then, Suu Kyi had lived most of her life abroad. Married to the Tibetan scholar, Dr. Michael Aris, she lived a relatively normal domestic life in Oxford, where she cared for their two children. But she seems always to have had a sense and shown a willingness to be drawn back to her homeland to serve some higher purpose. The daughter of General Aung San, the founder of the Burmese army and the man credited with negotiating independence from British colonial rule, Suu Kyi’s early life was scarred by his assassination at the hands of political rivals in 1947. It was a day that Myanmar has never recovered from and marks the beginning of a regression that the country has not yet come out of. Aung San remains the most important person in the history of modern Myanmar; to this day, he is almost universally revered throughout the country, reflected in the prominence of his portrait in homes, restaurants and shops, and in the lending of his name to streets, stadiums, markets, universities, and any other number of public places across the country. From that moment, Suu Kyi became a symbol of hope across the country. In the minds of ordinary Burmese citizens – repressed for decades under the often comically incompetent rule of the military junta – she was the link between an era of great national pride and achievement and a future of promise. Aung San Suu Kyi has become a champion – inside and outside Myanmar – of those repressed and persecuted by tyranny. And now, a free woman once again, she wants to run for the presidency next year against the very people who imprisoned her for so long. Suu Kyi is one of those rare figures who, although intrinsically political, seems to transcend politics. In Myanmar – and to a lesser extent around the world – this has led to a situation in which her purity, morality, and sense of justice go unquestioned. This lack of accountability and scrutiny is always problematic in politics, even if the politician is a Nobel laureate. This, however, is not what concerns the current regime; what bothers them is that if they allow Suu Kyi a chance to run for the presidency she will win with an enormous majority. Myanmar’s lurch towards democracy has been slow and, although there have been significant reforms, it’s still a country effectively controlled by the military. Unwilling to relinquish power, the generals have written a clause into the constitution that prevents anyone who has been married to a foreigner from becoming the nation’s leader. Suu Kyi and her party, the National League for Democracy (NLD), have been campaigning to have the constitution amended before the 2015 election but, since that would all but guarantee her victory and shift power away from the military, it seems unlikely. However, there are always murmurings that constitutional concessions may be made to accommodate her. Recent events have seen this speculation thrust back into the media: Suu Kyi recent meeting with President Thein Sein – who continues to make overtures to reform – and U.S. President Barack Obama’s scheduled return to Myanmar for the ASEAN Summit this week. The president has made no secret of his admiration and respect for Suu Kyi, and she has been central in his thinking and efforts to encourage political reform in Myanmar. Suu Kyi is also taking her campaign abroad once again, with a recently announced visit to China in December. Suu Kyi’s campaign – on the domestic and international stage – remains focused on the need for democratic reform and establishing the rule of law for all Burmese citizens. But she has been cagey on the question of whom exactly she regards as citizens and, thus, to whom these reforms should apply. The Myanmar government doesn’t recognize the citizenship claims of the Muslim ethnic minority Rohingya people; instead, they refer to them derogatively as “Bengalis” and claim they’re illegal migrants from Bangladesh. This came to a head earlier this year when the government conducted its first census since 1983. Despite many Rohingya having lived in Myanmar for generations, census officials – under instruction from the government – refused to allow them to register their ethnicity. Despite earlier assurances this wouldn’t happen and censure from the United Nations, the Myanmar government stuck to their commitment to exclude the Muslim minority from the census. When pressed for comment on this, Suu Kyi speaks of the need to “clarify” questions of citizenship, while saying that all ethnicities should be treated equally. She is deliberately vague about what ought to be done with the Rohingya if they’re not – as the government and majority of Burmese believe – “genuine” citizens. This is typical of the rhetoric Suu Kyi has employed when asked about the human rights perpetrated systematically by the regime against the Rohingya: She strives to seem neutral and non-committal on these matters. If silence is deafening, her stage-managed diplomacy isn’t much better. One has to look at the long-running ethnic conflicts within Myanmar more broadly if one is to try and understand why the Nobel laureate chooses to back her government’s crimes on this issue. There’s one hypothetical question – before we go any further – that looms large over this whole debate: Would Suu Kyi’s responses be the same if these atrocities were being carried out against ethnic Burmans (also known as the Bamar, the majority ethnic group in a country that has 135 distinct government recognized ethnicities) or fellow Buddhists? The Rohingya have been marginalized for decades, but the oppression intensified in 2012 following clashes with Buddhist villagers and security officers. The Rohingya are now forced to live in deplorable conditions in camps where their housing, health, security, food and water needs are restricted by those charged with protecting them. Many have tried to flee only to find they’ve got nowhere to go: A special report by Reuters last year found that Thai authorities were dumping fleeing Rohingya into human trafficking rings. There’s something almost Shakespearian in all this: One of the world’s most persecuted people is abandoned by a natural ally, who happens to be the best-known human rights activist in her country (if not the world). The consequences for the minority are horrific, but this cruelty has broader implications for Myanmar: It undoes much of the progress made in recent years. What makes this tale truly tragic is that the country is missing its best opportunity of reclaiming its former distinction and has instead embraced policies of apartheid, violence and racism. Violence is something I condemn completely, but don’t forget that violence has been committed by both sides. This is why I prefer not to take sides and also I want to work towards reconciliation between these two communities. I’m not going to be able to do that if I’m going to take sides. This is ludicrous considering how often and how passionately she’s spoken out against the violence of the regime over the past two decades. Moreover, there have been times when members of the NLD have employed violence as a means of protest and, although she has never approved of these tactics, she hasn’t claimed their actions are morally equivalent to those of the government. There are only two explanations for Suu Kyi’s caution on this subject: She either shares the widespread anti-Muslim views that have become so widespread in Myanmar or she knows that if she were to speak out against the attacks on the Rohingya her popularity would be jeopardized. Although it’s impossible to know for sure, I lean towards the latter because Suu Kyi – well-educated, intelligent and cosmopolitan – must surely be able to see through the paranoia the regime has whipped up. The obvious distrust and outright hatred felt by many Buddhists towards all Muslims in Myanmar springs from the perception that they pose a threat and have designs to turn Myanmar into a majority Muslim country – this despite only making up 4 percent of the population. This conspiracy theory type of rationale was commonplace in Ne Win’s regime and – in a country where superstition runs deep and the level of education has been stultified under the old regime – it’s found some traction with large portions of the population. Suu Kyi’s refusal to condemn the violence – by vigilantes and the State alike – against the Rohingya specifically and unequivocally is indefensible; her silence is tantamount to complicity. She holds a unique position of moral authority within Myanmar and her refusal to defend the rights of the Rohingya as citizens of the country she wants to lead is an indictment on her and bodes poorly for the future of Myanmar. Incongruously, Suu Kyi is unique in fashioning a personality cult – perhaps not by her own designs – on an absolutist belief in non-violence. Indeed, this has formed the bedrock of her struggle against the Burmese regime since the beginning and has remained non-negotiable. She’s spoken often of admiration for Gandhi and the strength she’s drawn from his struggle against British colonial rule in India. Like Gandhi, Suu Kyi’s absolutist pacifism is inseparable from her spirituality. …Gandhi’s view was that the German Jews ought to commit collective suicide, which ‘would have aroused the world and the people of Germany to Hitler’s violence.’[…] If you are not prepared to take life, you must often be prepared for lives to be lost in some other way. Gandhi’s fanaticism may have been more extreme than Suu Kyi’s (‘he was willing to let his wife or a child die rather than administer the animal food prescribed by the doctor’), but her uncompromising belief in non-violence can be traced directly to him. Moreover, this is – and always has been – an ideology Suu Kyi demands her followers submit to. But as the daughter of General Aung San she had a kind of immunity to the worst of the regime’s violence. It’s true that, on one occasion in particular, she came very close to being killed by Burmese solders, but she is an anomaly in that she didn’t end up in jail or – as these things are so delicately put – disappeared. It seems unfair that she forced others without her privilege to passively submit to an authority that would happily see them dead. This strikes me as a perverse, rather than an ideal, moral compass. But the most morally dubious aspect of Suu Kyi’s non-violence is that her unwillingness to condemn the attacks against the Rohingya – if it doesn’t encourage future conflict (and I would argue it does) – certainly does nothing to prevent it. There’s something deeply flawed and unsettling in the idea that the actions of the victims are morally equivalent with those of the more powerful, better-financed, well-resourced and nominally superior attackers. The right to defend oneself is a fundamental human right, but by Suu Kyi’s logic the Rohingya – who have already seen many friends and family suffer unimaginable violence and injustice – should waive that right and accept their fate. Listening to her speak on the subject, one would never know that hundreds of Muslims have been killed and some 140,000 driven from their homes by fanatical Buddhists. This problem [sectarian violence] arose last year  and this is to do with fear on both sides. The fear is not just on the side of the Muslims, but also on the side of the Buddhists as well. Muslims have been targeted but also Buddhists have been subjected to violence … Global Muslim power is very great and certainly, that is a perception in many parts of the world and in our country as well. These comments were made before the rise of the Islamic State and in the aftermath of Western interventions in Afghanistan, Iraq and Libya. The Syrian civil war was already ripping the country apart. Obama’s covert campaigns in Yemen, Somalia and Pakistan and his doctrine of the world as a battlefield were already entrenched as cornerstones of U.S. foreign and national security policy. States across the Middle East and North Africa, rather than forming a global Muslim power base as Suu Kyi suggests, have been so destabilized and debilitated by the West that it will take generations for them to recover. But Suu Kyi’s dog whistling appeals to Islamophobic Burmese Buddhists; in essence, she acknowledges that their grievances are genuine and, thus, stokes their fear. This fear mongering is her safest political position because if she were to suggest that the threat of Myanmar being overrun by Muslims (as I heard countless times when I was last there) was misguided and those who subscribe to this view are delusional, she would place herself in direct opposition to the majority of the population, many of whom consider this the most important domestic issue. As a leader, perhaps Aung San’s greatest achievement was his desire and success in unifying a country as diverse as Myanmar. On February 12, 1947 he signed the Panglong Agreement with leaders from 23 of the ethnic minorities supporting his proposal to unite and work with his interim government to achieve independence for Myanmar. He made concessions and offered assurances to the leaders; without his vision and leadership an independent Myanmar would have remained a pipedream. I was in Myanmar this year for Union Day and it remains a day to celebrate the country’s diversity and Aung San’s great achievement. Yet I was struck by the incongruity of these celebrations with the fact that the country has been been engaged in a civil war since 1948. Perhaps it’s a mark not just of Myanmar’s diversity, but also of how much violence and conflict have been normalized and come to characterize the nation since independence. The most significant of these conflicts is being fought in the northern hills between the Burmese army and the Kachin Independence Army (KIA). Inhabiting the region neighboring China and India, the Kachin people are mostly Christian and have long sought independence from Naypyitaw. Fighting resumed after the army launched attacks on the villagers in June 2011, bringing to an end a 17-year ceasefire and displacing more than 90,000 Kachin people. A 2012 Human Rights Watch report detailed some of the destruction the resumed conflict has inflicted on the local population. The army has attacked Kachin villages, razed homes, and pillaged properties. Soldiers have tortured and raped civilians, and forced villagers – including children as young as 14 – into labor. The abuses highlighted in the report probably only scratch the surface because the Burmese government has routinely withheld humanitarian support and prevented aid agencies and the United Nations from reaching those displaced within Kachin-held territory. The Kachin villagers – like the Rohingya – are the voiceless victims of Myanmar’s tyranny and Suu Kyi – a campaigner for the rights of ordinary Burmese citizens for so many years – has now decided to throw her lot in with the army. The idea that one can remain neutral on these matters – a position she’s often repeated – is a fallacy. Her lack of support and abandonment of the Kachin people has been felt in the country’s north. 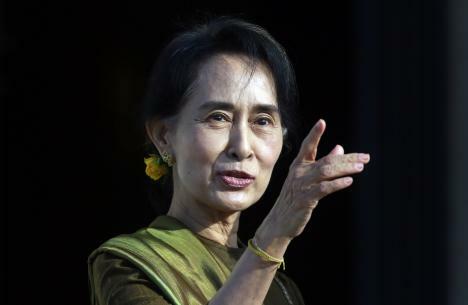 According to Burma Campaign UK, “[Many ethnic groups] always thought they were on the same side as Aung San Suu Kyi, against a common enemy, and with a common goal, democracy and human rights,” said director Mark Farmaner. Moreover, her supposed neutrality, which Suu Kyi claims will help find a resolution to the conflict, has only placed her outside the peace process. The KIA is unwilling to engage with her as a mediator because they believe she’s too close to the regime. While her complicity in the crimes against the Rohingya has generally been well received within her party and amongst her supporters, many of her allies have been critical of her close relationship with the army. Uniformed officers have harassed NLD activists for decades, they have thrown untold numbers in jail and many have died at their hands, but Suu Kyi has always been honest about her “fondness” for the army. The army was, after all, founded by her father, who’s still affectionately known throughout the country as “Bogyoke” (General). Her earliest memories are of being cared for and protected by men in uniform. Then, after his assassination, she lived abroad from the age of 15 until she was 44. She stayed up with reports of what was happening in Myanmar, but she never witnessed its destruction first hand until her return. After that she spent most of her time under house arrest, guarded by soldiers who were generally polite and treated her well. Others weren’t so fortunate. No one embodies the struggle for democracy and justice in Myanmar more than U Win Tin. A journalist and political activist, he co-founded the NLD with Suu Kyi in the aftermath of the 8888 Uprising. For his activism he spent 20 years in Insein jail. Deprived of his most basic rights, kept for long periods in solitary confinement and prohibited from reading or writing, he never gave up his struggle. Even after being released in the wake of Myanmar’s liberalization in 2008, he refused to wear anything but his blue prison shirt as a sign of solidarity with those still imprisoned on trumped up charges. Win Tin was a dogged character with a hard edge, and he was critical of Suu Kyi for being too soft. Prior to his death earlier this year he had lamented that she was too pro-establishment because she was willing to negotiate with the generals, something he was adamant he’d never do. There could be no greater indictment against Suu Kyi: She has long endured criticism and vilification from people within the Burmese regime eager to sully her reputation in the eyes of her people, but Win Tin was once her closest ally. He saw the personality cult that formed around her and believed that Myanmar’s struggle, understood solely through the prism of Aung San Suu Kyi, was bad for Myanmar. George Orwell cautioned against making gods out of mortals because it imbues them with an aura of infallibility that no one can possibly live up to. But this is not Suu Kyi’s flaw: Her greatest failure is that she’s taken advantage of the perception of her as an unerring statesman and humanitarian and chosen to collude with tyranny against the people who need her most. One feels a sense of mourning for the opportunities lost, for it will be a long time before Myanmar has a leader of such great promise again.